Divine Long Party Embroidery Dress in White with Folds and gorgeous embroidery in the corset. 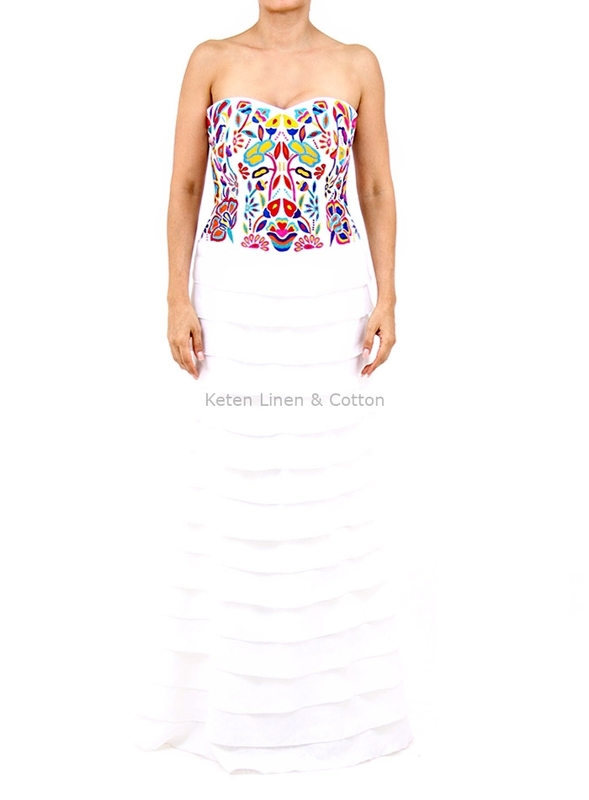 Made with 100% high quality linen and threads of different colors highlighting the Mexican pride, handmade by Mexican artisans. It is ideal for use in a special event, its design and style are unique. It's one of our favorite pieces! Exclusive to Keten.